I have two one-step recycle crafts to help you teach your kids (or yourself) how fun recycling can be! Both of these homemade toys are made out of things you can find laying around your house, and things you usually put in your trash can. Before you throw out your water bottles and empty Kleenex boxes, check these recycle craft ideas out and let your kids get busy! It is also a great time to talk with your child about reuse and recycling and why these things are important. 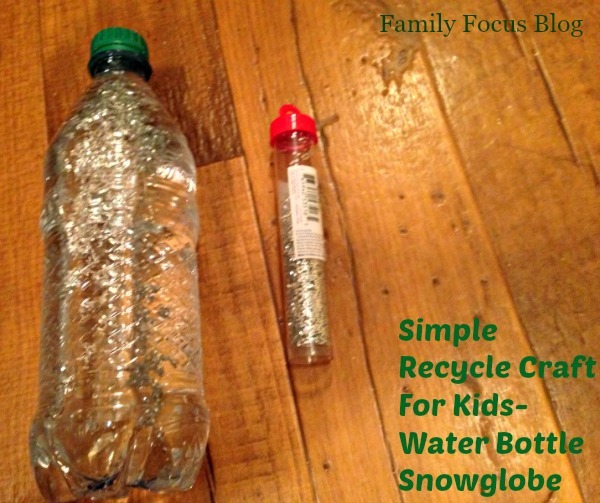 Using these two recycle craft ideas for water bottle snow globes and tissue box guitars, your kids will have fun doing simple crafts and feel empowered to create. Then they can decorate their homemade toys with paint and/or stickers. 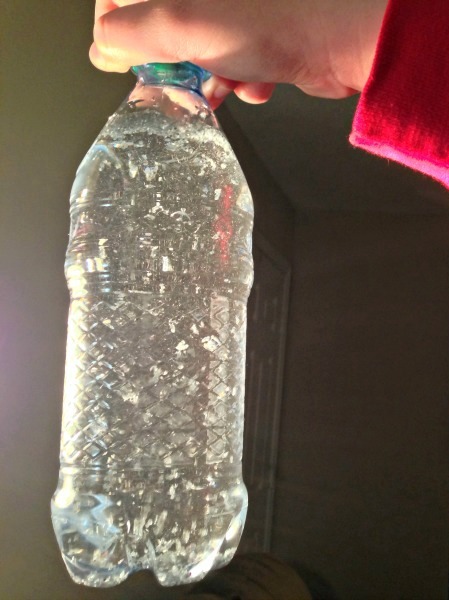 Pour your favorite glitter into the water bottle until it looks right (and then shake it up!) Toddles love to play with these homemade toys. Allowing the glitter to settle and reshaking it and watching the glitter glisten is a great way to pass the time for small children- especially when they are riding in the car. My friend, Autumn Birdsong, playing with her tissue box guitar. Stretch rubber bands over the hole on the top of the box and start making music! 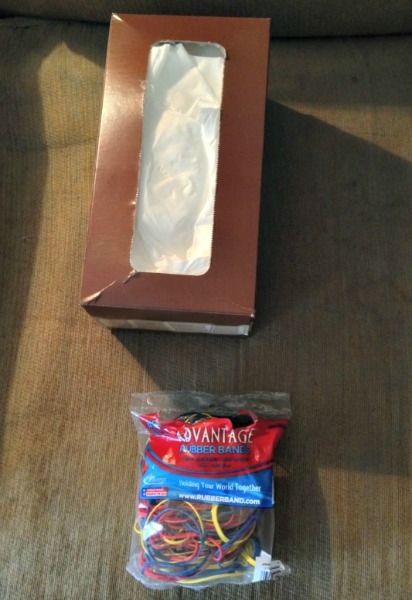 It is that simple to make a homemade tissue box guitar and your toddler will love making something themselves. 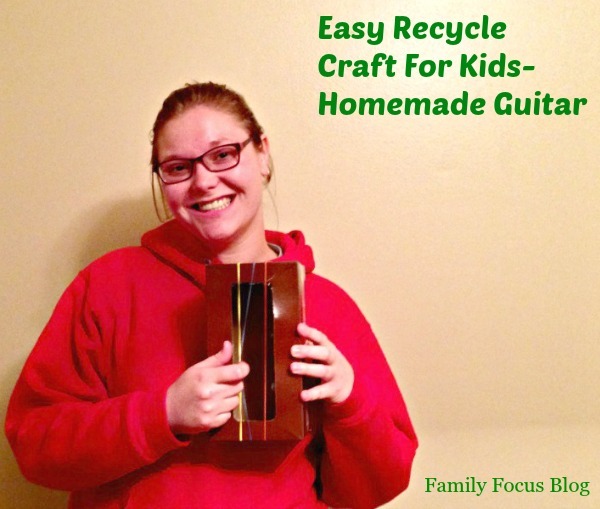 Have you tried making recycle crafts before? What other crafts have you made from recycled products?